Jon Cella's real estate awards are a great testament to his outstanding sales record; but it's the loyalty of his clients and referrals they give him that mean the most. 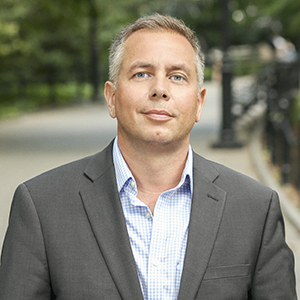 Since entering the Manhattan residential sales and rentals market in 2002, Jon has earned a stellar reputation for quality service that brought him to success at his previous firm, and continues here at Compass. He works hard to find the right home for every customer, and to help sellers get the best price for their prized investment. Jon believes a broker should be a partner and an advocate for their clients. "A real estate transaction is a major endeavor that requires the attention, dedication and resourcefulness of a knowledgeable professional. I make sure I'm there throughout the process for my clients, arming them with support and information that lead to profitable, satisfying decisions." As a lifelong New Yorker who hails from Brooklyn, Jon works all over the city helping clients explore the market and understand their options. Before entering the real estate business, he developed his sales skills and financial expertise as a stock broker for nearly a decade. Jon is there for his clients on all sides of a transaction, from the emotional to the fiduciary. He looks forward to serving you well, and to making you a client for life who depends on him over time as your real estate needs change. 2454-2456 Royal Street provides ultimate privacy in a comfortable urban oasis. Three buildings surround a lush courtyard, pool, fountain and spa. Perfect for entertaining, hosting friends & family and enjoying one of the most sought after neighborhoods in town. The entire property has been extensively restored in the late 1990's with new construction in the rear of the main house. This unique layout allows for a variety of uses including revenue potential.